WHIZ kid Callan Smith has been eliminated from MasterChef Australia after plating up what judges Matt Preston, Gary Mehigan and George Calombaris described as the most "bonkers" dish ever seen on the Channel 10 cooking show. Smith, 19, who idolises celebrity chef Heston Blumenthal, served up a Dessert Sushi made up of crumbed salmon, candied nori, yuzu syrup, toasted nori, toasted rice and toasted rice ice cream. Smith faced off against Sarah Tiong and Tamara Graffen in the sudden death cook-off after the trio lost the previous night's Yokocho team challenge. Tiong dropped the first bombshell when she announced that she wouldn't use the immunity pin she had won two days earlier, to avoid the cook. She wanted to save it for later to secure a spot in finals week. Preston told the three they had 75 minutes and an open pantry to cook a dish that celebrated where they had come from and where they wanted to be in the future. Contestants were floored when Smith revealed that he was putting his spin on sushi by turning into a sweet dish. "I don't think there is room for restraint today," Smith said. "I'm just going to go all out Callan on the challenge and put up a dish that only I could probably put up." Contestant Eliza Wilson was gobsmacked. "There is no way in my right mind I would do that," she said. 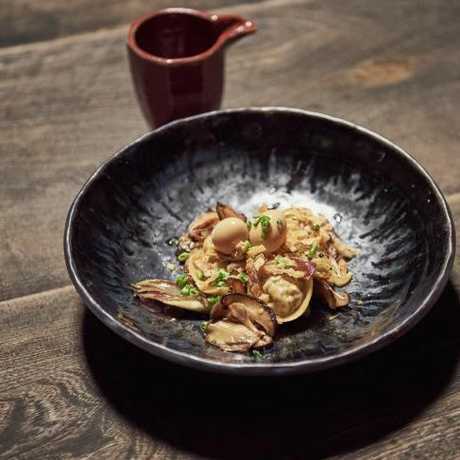 Graffen decided to make pork dumplings with spicy salty broth and soy quail eggs - a variation on the dumplings she and husband Tim regularly cook at their Broome home. 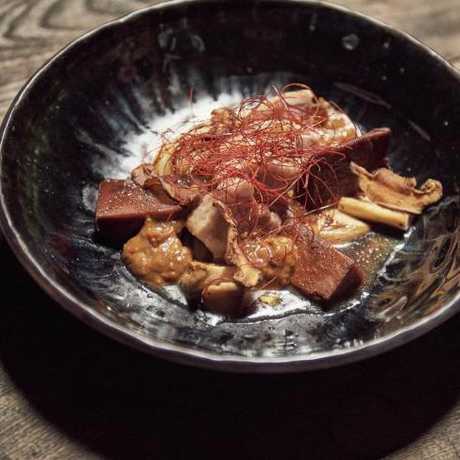 Tiong turned to childhood memories to create pork belly with taro, wombok and a miso dressing. But it was Smiths dessert that had the judges talking. When Mehigan first heard the concept he described it as "madness". Calombaris was more enthusiastic. "I love it," he said. Graffen decided to fry chicken skin to add punch to her dumplings which would be in a ramen-style broth. Tiong's twist was to steam her pork belly after infusing it with salt and ginger. She braises her taro with soy sauce. Smith's only hurdle was getting his rice toasted enough. With time pressing, he needed to the get the rice ice cream into the churner. Tiong's dish was the first to be tasted and Mehigan couldn't fault it. It was named dish of the round. Graffen's dumplings also hit the mark. Preston said the dish was delicious, showcasing the thick, intense broth. Mehigan loved the gooey quail egg yolk and ramen-style broth. When it came Smith's turn, Preston asked the 19-year-old whether his dessert was "bonkers or brilliant"? "That's me - that's what I want to do sitting in that bowl," Smith replied. "If I was to go home today I couldn't be happier with the dish I've put up". Preston couldn't hide his admiration. "In terms of invention-plus, you've smashed it," the judge said. "We've talked about bravery … and you've brought us a dish that I think is one of the bravest we've seen on MasterChef." 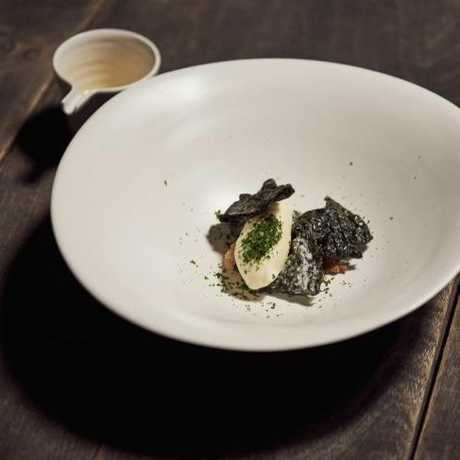 Calombaris called the dish "a super-refined version of his (Smith's) craziness". Mehigan added: "He doesn't think like anybody else in the competition. As an old-school chef … I think it is madness to put up something like sugared salmon in the competition … but if I saw it on a menu I'd order it because I want to know what it tastes like. I've got my fingers crossed for him". And when it came to tasting, the dessert was definitely more brilliant than bonkers. The judges couldn't stop laughing - with delight. "I think we all doubted the dish," Preston said. "I think we all thought it was way more bonkers than brilliant but … there's lots of stuff that makes it really tasty." 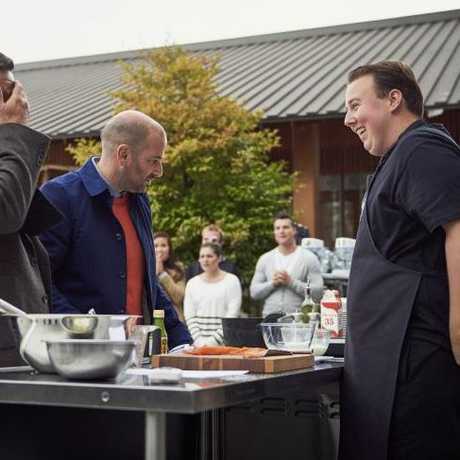 "The salmon played this weird thing in my brain where I thought it was caramelised white chocolate as I bit into it," Calombaris said. "I'm sitting her bamboozled but I'm happy." The only thing that let it down was the rice in his ice cream not being toasted enough. It was that small element that sent Smith home. "If he'd introduced a toasty note into the ice cream it would have linked the whole thing together," Mehigan said. 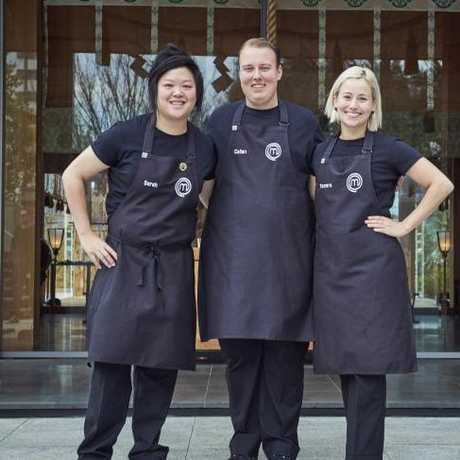 Since his elimination, Smith has worked at Sydney's Longrain restaurant. He is also planning a number of themed pop up restaurants over coming months.